Welcome to our Flag Shop . . .
**We automatically refund excess shipping/handling charges paid on multiple orders in one shipment** We ship to all destinations worldwide. Call or Email for details. 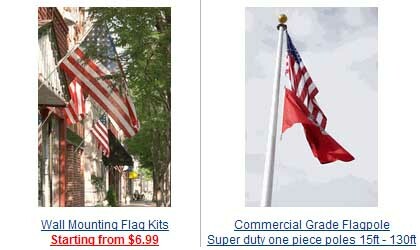 Our collection of deluxe, 100% high density Nylon flags can now be ordered through our Amazon.com zShop. 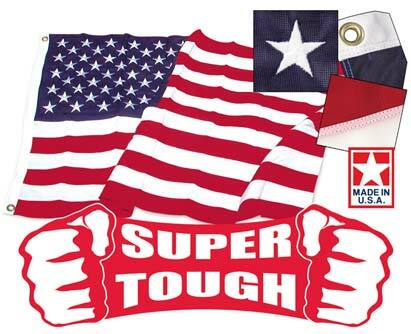 We carry thousands of flags and flag related items in addition to those shown on this menu. Feel free to call us if you don't see what you need on this page (see contact info below). 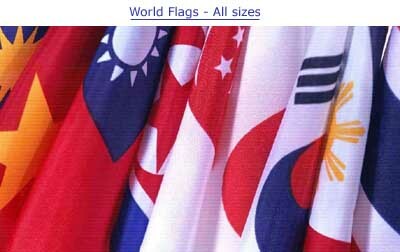 Images of national flags can be seen at www.theodora.com/flags. Please choose from the categories below or from the menu at left.